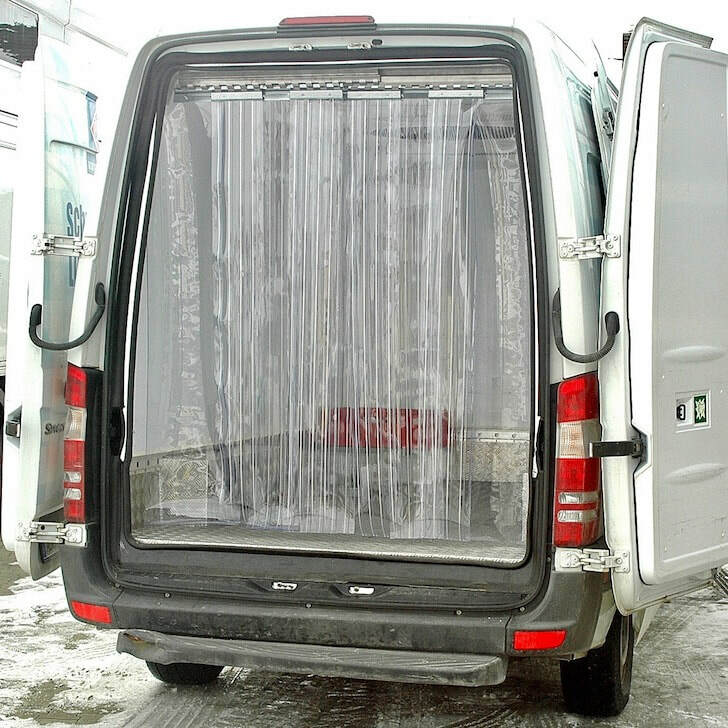 Unique transparent strips, that do not stick together due to the solid cast ribs, facilitate the driver's loading activities. The ribs ensure better drainage of condensation and longer transparency (protection against accidents). If required, the strips can be food-safe on both sides. 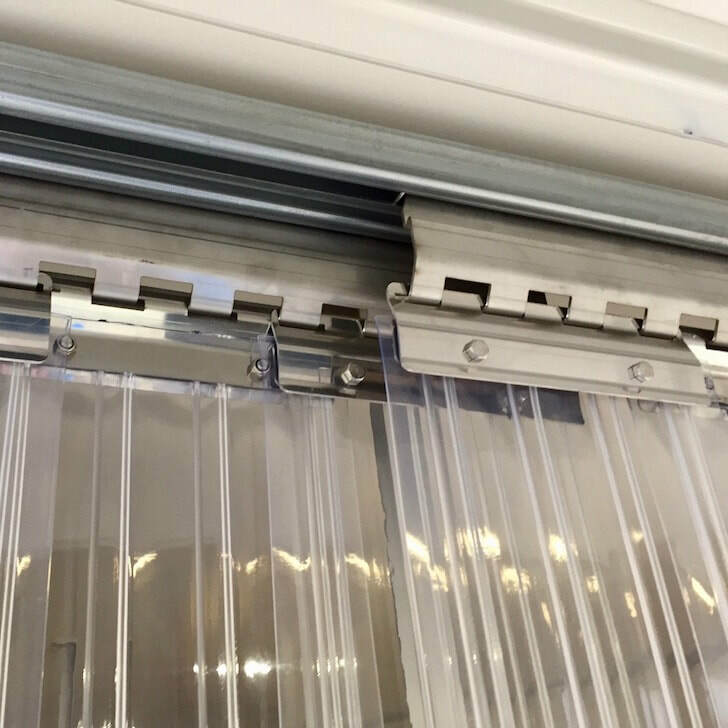 The strips are suspended on the headrail - this helps prevent individual strips from being ripped off. Installing and exchanging them does not require any tools. They are available in 1-piece and multi-piece systems. All versions are also available in models that can be moved backwards and forwards lengthwise to the end wall.